When I popped in to pick up the newspaper this morning, I took the opportunity to check out the new site of our Post Office, which opened to the public this week. Now, it’s all very smart and all, but there are only 5 counters, less than half of what we had in the old Post Office. That’s not what I call progress; can you imagine what it will be like in the run up to Christmas? The US Postal Service claims to already be bankrupt. I am ashamed of the way our government destroys this great nation daily with their frivilous ways, and none of them ever think of the common folk. Those of us who pay taxes and use the service of the postal system. It is the same here. They cut all the wrong corners. 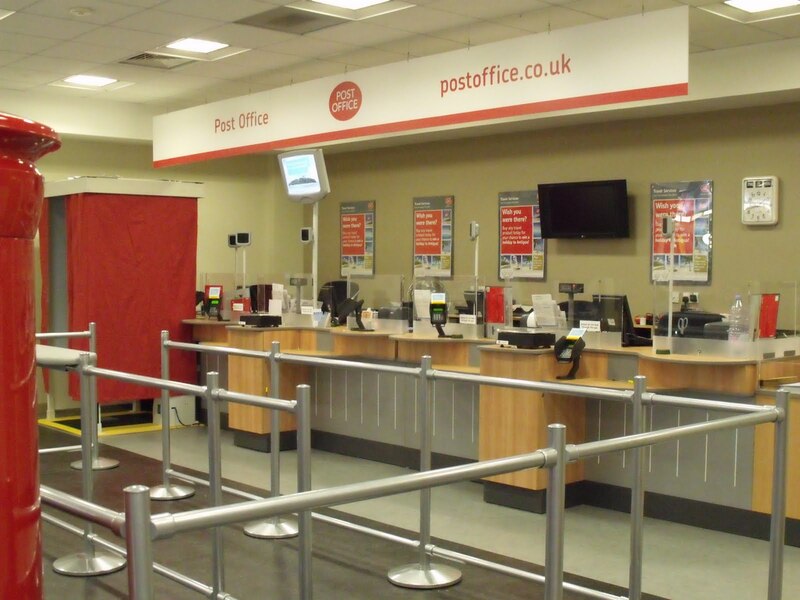 But your new post office is very lovely and I am glad I stopped by. It has been a long time. The same has happened here Ruth, progress…not so sure. My local post office is a large closet off of a corner of our mini market. One small room with cubbies for mail, a counter, a desk and packages everywhere. Plus one very harried overworked employee. I always feel bad when I need something weighed because she always has so much stuff to do. Very swish…but 5 counters? !!! You'll have to buy your stamps and post in November to beat the rush! !